Cassandra Cline died at the scene after she was pulled from the water. LOCAL AUTHORITIES HAVE said a woman has died after being attacked by an alligator in the southern US state of South Carolina. 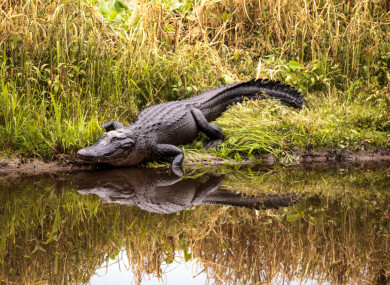 Eyewitnesses saw the woman – named locally as Cassandra Cline – walking a dog near a lagoon at the Sea Pines Plantation on Hilton Head, when she was attacked by an alligator and pulled underwater. This is the first such fatal attack in the state in decades, ABC News reported. The Beaufort County Sheriff’s Office said the alligator was “located and dispatched at the scene”. An autopsy was scheduled to be performed on Cline today. Police added that the dog did not appear to be harmed during the incident. Email “Woman out walking her dog killed in alligator attack in South Carolina”. Feedback on “Woman out walking her dog killed in alligator attack in South Carolina”.